With one of the world’s most iconic skylines combined with deep traditions, Hong Kong is all at once an urban playground and a cultural adventure. From the Tung Choi Street market to the water-front Tsim Sha Tsui Promenade, the region’s urban centre is full of atmosphere and charm. With a population of more than 7.3 million, it’s also very full of people! Known as ‘Asia’s World City’, this destination will introduce you to an impressive, unmatched range of cultures and influences. For the true Hong Kong experience, take a day or two to leave the urban jungle behind. Hong Kong has plenty of countryside, full of beautiful national parks, beaches and hiking trails that any nature lover will enjoy. Getting around Hong Kong is incredibly easy, with 9 in 10 commuters using public transportation. Grab yourself a paper map (or load yourself a digital one) and take advantage of the efficient train, subway, bus and tram links. Hong Kong was a British colony up until 1997, so many people speak English. Otherwise, Hong Kongers speak Cantonese, a specific and distinct language from Mandarin. While Hong Kong is incredibly humid, this also means most shops, restaurants and hotels use air conditioning - and lots of it. Always bring something to cover up in to fight the chill when moving inside. Hong Kong is a foodie’s paradise, with one restaurant for every 300 people. While you should absolutely try some local dishes, like fish balls and dim sum, you’ll find just about every kind of cuisine imaginable. Hong Kong has seasonal weather so please do check up on the best time to visit Hong Kong before planning your tour. 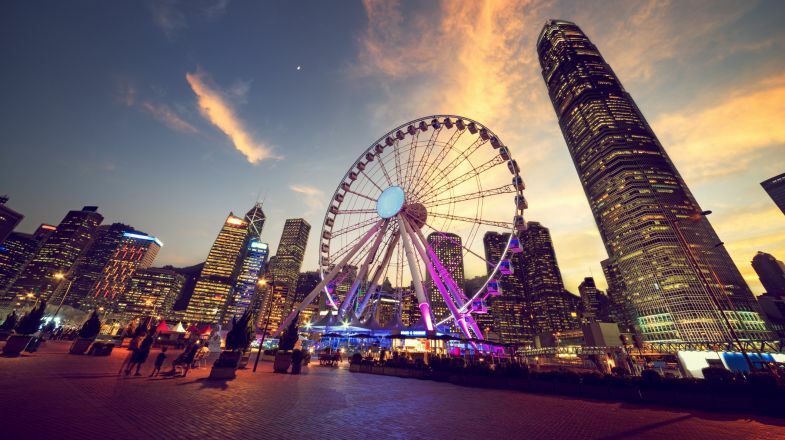 And if you’re still hunting for more things to do and places to explore in Hong Kong, do check out our Hong Kong Travel Guide for more information.